The Michael Kors’ runway show took place at New York Fashion Week yesterday, from the Vivian Beaumont Theater at the Lincoln Center. On this very special Valentine’s day, Michael Kors is determined to show the vibrant city some love. Curious what MK has in store for us? Check out some highlights from today’s show showcasing fresh, captivating designs for Fall 2018. Kors’ Fall 2018 collection featured 75 looks, which is probably the largest Kors has ever presented at New York Fashion Week. Kors aimed to incorporate a sense of practicality to his looks, which could be critiqued as too all over the place. However, Kors’s aim is known to be creating styles for every woman, and this Fall 2018 collection was no exception. 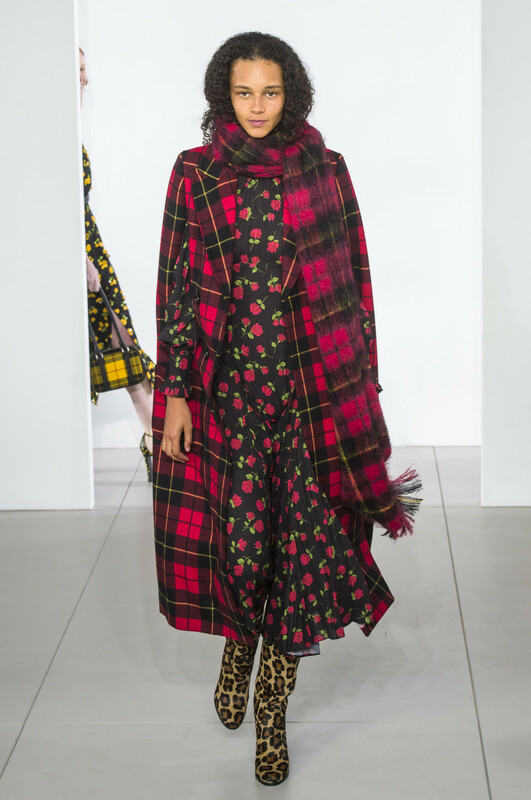 Binx Walton opened the show in a mismatched ensemble — a tartan cape, floral dress and leopard-print booties. The rest of Kors’ show was a hodgepodge of similar mismatched prints. Leopard, tartan, camo and floral prints, styled with each other in a way you wouldn’t in your wildest dreams ever think to do. You name it, this collection had it…Except for real fur, as Kors recently swore off all of that. Instead, there were plenty of great looking faux fur looks. 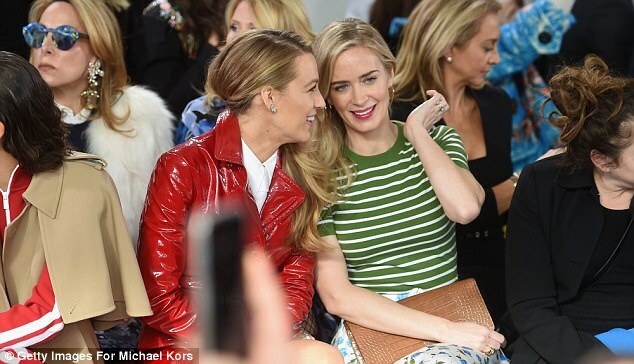 No MK show is complete without a star-studded front row, and on Wednesday morning, Blake Lively, Emily Blunt and Zendaya sat front and center. Blake Lively wore a red-hot patent leather princess coat while Zendaya wore a crimson-and-white viscose track jacket with matching trousers (a look that was also seen on a model during the show). Emily opted for a billowing floral skirt and a contrasting green striped top for a contrasting look.